Recent reports have suggested that Tottenham will be rivalled by Liverpool in their pursuit pursuit of Carlos Bacca this summer. The 28 year old, who has scored 21 goals in 43 games for Sevilla this season – and 7 in just 17 games for Columbia when he has been given a chance ahead of Radamel Falcao et al. – has been mooted as potential answer to the expected overhaul in Tottenham’s striking department this summer. With Emmanuel Adebayor and Roberto Soldado surely coming to the end of their Tottenham careers there will be some room for another striker to compete with and perhaps complement the talents of Harry Kane. The young Englishman will start the lions share of games again next season but Tottenham need a really good quality alternative if they are to kick on and their current crop aren’t cutting it. 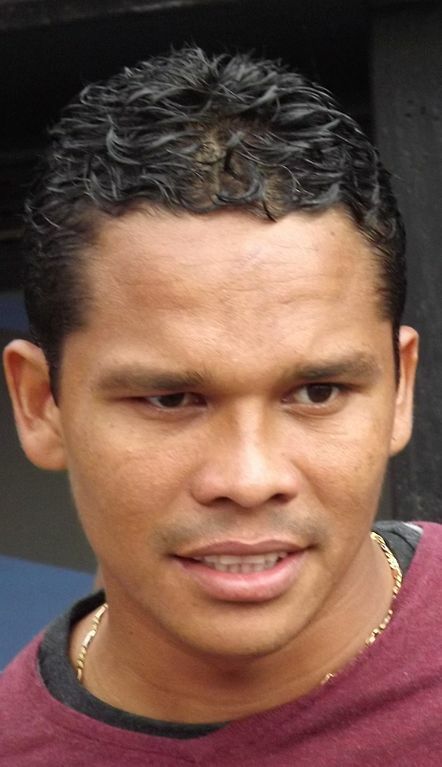 And the reason that we like Bacca is that he is adaptable. With his pace, he can play wider if necessary and also has the technique to drop into the hole if Eriksen is tired/injured. Let’s see him banging the goals in. Tottenham fans: keen? Spurs stop messing around & sign Javier A.S.A.P. Jay if fit? or Ings, winger? Morgan or Auderweild, Cabaye, Hector. SELL: Soldado, Lemela,Townsend. Ade, Chadi. + Baldini waste of money! New Owner & Finally say goodbye to Levi.